A few thoughts on reading Mike Davis’s Planet of Slums (Verso, 2006). Currently on chapter 4, ‘Illusions of Self-Help’. The neoliberal solution to slums: property rights. According to Hernando de Soto, ‘Third World cities are not so much starved of investment and jobs as suffering an artificial shortage of property rights’. What a shining example of a capitalist abstraction! But the reality of land titling is that it leads to increased stratification within the slums, as the early settlers able to claim property rights end up renting to the less well-off new arrivals, and does nothing to improve housing quality for the majority (Davis, pp.79–80). This all reminds me of the much maligned kulaks of the Russian village, on the one hand, and Margaret Thatcher’s ‘right to buy’, on the other. The kulaks, if you remember, where the wealthier peasants, who were targeted in 1920s Soviet agricultural reforms as a nascent bourgeois class standing in the way of collectivisation. The Russian peasant village was much celebrated for the vestiges of primitive communality preserved in it, although these had all but disappeared by the time of the Revolution. I wonder if the kulaks emerged through a similar process of social differentiation, as a communality of resources was replaced by the institutions of private property. The right of council house dwellers to buy their homes, introduced in the 1980s, might have helped some families build up their assets by getting on the housing ladder. But I don’t believe it did anything overall to alleviate the structural causes of poverty, and led to increased misery for many as they found themselves exposed to the volatility of the housing market and negative equity. But what land titling does do is create a whole new tax base for governments and, through increased social stratification, promote the political fragmentation of the poor. In 2007 Naomi Klein published Shock Doctrine: The Rise of Disaster Capitalism, which detailed how, since the 1970s, wars and natural disasters have provided opportunities for the advancement of neo-liberal programmes, whose effect has been a shift in resources and the balance of power in favour of capital. Klein’s work can be linked with David Harvey’s account of accumulation by dispossession – namely, the theory that profitability has been maintained not by any productive advantages inherent in the capitalist mode of production, but through the expansion of capital itself, its encroachment on areas of activity that were previously less capitalised, often common or public. With the onset of the financial crisis in 2008, there was some talk of the brakes being applied and a re-evaluation of neo-liberal programmes. But, as Susan Watkins suggests in New Left Review (NLR 63, 2001), is the crisis in the end providing yet another opportunity for the advancement of disaster capitalism? As Wolfgang Schäuble recently pointed out, each European government can use the crisis to push through capital’s wish list of structural reforms: in Germany, softening up the labour force by cutting unemployment benefits; in Spain and France, stripping out the gains—‘rigidities’—of older employees; in Italy, slashing the Mezzogiorno public sector. The widely proclaimed end of neo-liberalism looks more and more like the continuation of its agenda by other means. COMMONSense apazine now available as a free pdf. Our 62 page publication of writing, art and photographs is now available to download. 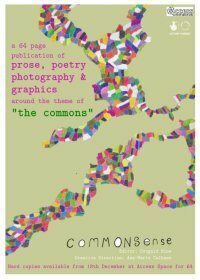 It is a magazine created from submissions to a call for pieces which reflect a theme connecting the activities of Access Space to the wider world, “the commons”. We asked for prose (stories, thoughts, book reviews, bibliographies…), poetry, photographs, cartoons, drawings or graphics. People sent us material relating to green issues, land ownership, social relations, the internet, copyright, software and a whole host of other subjects. COMMONSense was edited by Dougald Hine, with art direction by Anne-Marie Culhane. The theme of the issue is < COMMONSense >. Not so long ago, the only people who talked about “the commons” were historians; today, the language of the commons is central to debates around intellectual property, environmental protection, and resistance to globalisation. These international debates find their echoes here in South Yorkshire – in the activities of Access Space, recycling waste technology and promoting Open Source software, or in Grow Sheffield’s efforts to build local food networks and seed city centre wasteland. Can talk of “the commons” help us find common ground between these kinds of projects? Does using the same words mean we’ve found a common language – or can it disguise different meanings and intentions. If you’d like a hardcopy, COMMONSense is avilable from Access Space for £4.00. This publication was made possible by the Arts Council of England, Yorkshire, through its support of the arts programme at Access Space. I was surprised to learn recently that waterboarding, designated an ‘enhanced interrogation technique’ by the Bush administration, was used by the Spanish and Portuguese Inquisitions. In fact, it was one of their two main forms of torture. This is what Toby Green says in his book, Inquisition: The Reign of Fear (2007): ‘There were two main instruments of torture – pulleys and water’, but the ‘use of water was more common’. Now that sounds to me incredibly like the descriptions I have read of waterboarding, as practised (formerly, we are told) by the CIA. Not exactly the same, but then there are different methods of waterboarding. The method used by the CIA, for example, is not exactly the same as the method used in the US Navy’s Survival, Evasion, Resistance and Escape (SERE) school in California, or the definition given by the US Department of Justice (http://waterboarding.org/official_procedure). this creates a sensation of drowning in the victim, whose upper respiratory tract is filled with water, and who could actually asphyxiate if the procedure were carried on long enough. What struck me was that I’d never noticed any mention of the connection with the Inquisition when following the debate in recent years about CIA waterboarding. You’d have thought this would have been a key point for opponents of waterboarding. The Inquisition, rather like Nazism and racism, is widely regarded as being beyond the pale in our society, so awareness that waterboarding was a standard torture technique used by the Inquisition could potentially have had a significant impact on public perception. To claim that waterboarding was not a form of torture would be a bit like saying, ‘Spanish Inquisition not so bad after all!’. However, as John McQuaid argues in The Guardian, much of the US press, including the New York Times, often stood on the fence by using euphemisms like ‘harsh’ or ‘brutal’ interrogation, rather than coming clean with the word ‘torture’ (http://www.guardian.co.uk/commentisfree/cifamerica/2009/may/12/torture-new-york-times-washington-post). waterboarding.org, an excellent resource on the subject, with first-hand accounts, information on the technique, and arguments about its status as torture. A short sketch of the history of waterboarding from National Public Radio. A Question of Torture: CIA Interrogation from the Cold War to the War on Terror, by Alfred W McCoy (2006), includes an account of the evolution of torture techniques since the Inquisition. Posted in zqblog by Robin Vaughan-Williams, 28 April 2010. The RepRap technology can overcome the separation of producer and consumer that characterises commodity production. If people produce what they or people in their community want, then production is driven by concrete demand (use values) rather than abstract demand (exchange values). It puts the means of production back in the hands of producers. If capitalists no longer have a monopoly on the means of production, then the fundamental distinction between capitalists and workers underlying capitalist society is broken down. Of course it’s the pattern of production that is important. If this technology can only ever produce a small range of useful items then it’s not going to make much of a difference, but if it can be replicated in many spheres of production then it will have a significant impact. The technology also relies upon raw materials (plastic, metal), and if the production of those materials remained in capitalist hands then its socio-economic effect might also be severely compromised. Now I wonder, what, apart from coat hooks, might you be able to produce with this machine? I’ve just been to a lecture by Michael Hardt and Antonio Negri at the University of Iceland. I was particularly interested to hear them speak as I read an article by Slavoj &#0142i&#0158ek the other day in New Left Review in which he borrows from Hardt and Negri their concern with the commons. He talks about ecology, intellectual property rights, and bio-technology as the sites of three of the main antagonisms of contemporary capitalism, and characterises these three antagonisms as issues of the commons. The enclosure and expropriation of the commons is a common thread running through the history of capitalism, linking 18th-century England and modern China, and one that is familiar and well-established, so it seems an effective way of understanding and connecting the politics of these antagonisms &#0142i&#0158ek describes. The external environment, culture, nature, and the internal environment (the body) are all common resources that are under threat of being enclosed, exploited, expropriated, and even destroyed for private gain. For me the most interesting part of Michael Hardt’s talk was probably his distinction between material and immaterial property. I wasn’t exactly sure what was meant by immaterial property, probably because there was a TV camera about two feet away pointing right at me while he was on this topic, and this rather affected my ability to concentrate. Something to do with producing wellbeing, communication, software, knowledge, presumably organisation as well, that kind of thing. He compared this distinction to the distinction made by Marx between mobile and immobile property. Immobile property is, of course, chiefly land, while mobile property refers mainly to industrial products. Hardt proposes that the main distinction between different types of property is now that of material versus immaterial. The distinction between immobile and mobile property corresponds to that between land and capital, and to the social distinction between the aristocracy and the bourgeoisie. These were two social classes, two ruling classes indeed, one established, the other in the making. Sometimes they worked together, at other times, as in the French Revolution, they were in opposition to each other. How do the concepts of material and immaterial property map onto our social structure, I wondered, are they supposed to correspond to different factions in the ruling class in the same way as mobile and immobile property? We often talk about the ruling class being divided between the interests of finance capital and industrial capital, and I suppose that finance probably counts as an immaterial product, but I’m not sure how the interests of the owners of call centres, educational institutions, software houses, and so on differ significantly from the owners of material industries. 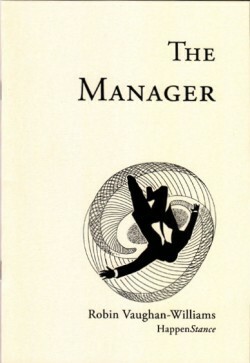 But it was not so much the ruling class as the conditions of the workers that Hardt seemed to be getting excited about. In immaterial industries, he claims, workers have a greater degree of freedom or power than their counterparts in material industries, and – this is the important bit – a greater opportunity (and perhaps propensity) to embark upon a liberation struggle…this was one of the points where I lost concentration – maybe it was the camera, or maybe it was just a little bit woolly – but that’s the gist of it anyway. So the development of immaterial property (I’m not sure if material property plays much of a role other than to help define immaterial property) offers us a window of opportunity for overcoming capitalism. Antonio Negri read his lecture in Italian with Icelandic surtitles, and I decided that, even halfway through Icelandic for foreigners level II, I’d probably understand more in Italian, so I closed my eyes and listened. I learned Italian when I was 18 and travelling in Italy for three weeks on an inter-rail pass, so, as you can imagine, I didn’t learn very much Italian. I do remember, however, being amazed at how much I could understand. Sometimes people started talking to me and I understood pretty much everything they said. I didn’t know whether it was to do with the proximity with French or Latin (I’d learnt Latin for three years at school then promptly forgotten everything except hic, haec, hoc, eram, eras, erat, and huius, huius, huius…but maybe some of it was still rattling around my subconscious), but Italian felt like it was a natural language, like it was somehow already within me, and I only had to rediscover it, like exercising some neglected muscle. So I closed my eyes tonight and thought, ‘maybe, maybe I can do it again’. And I understood a surprising amount. I wasn’t able to follow any arguments, but I could tell most of the time what he was talking about and recognised a few phrases, like ‘production of subjectivity’ (in Italian, of course, but it only works one way so I can’t repeat the Italian). I even picked up a bit of Icelandic. Samsto&#0240a means ‘solidarity’, and sj&#0225lfsemd ‘identity’ (I think). Oh, and I think it was organised by N&#0253hil (yes, the poetry group, but they evidently do more than just poetry).